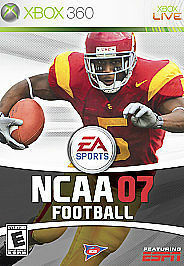 NCAA 07 X Box 360. Game The game is in its original box and has the instructions. All are in excellent condition.